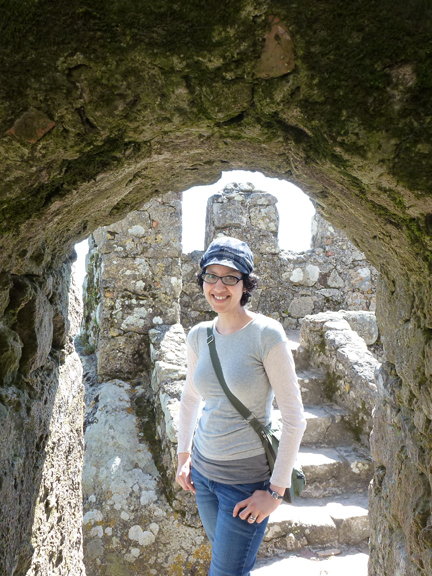 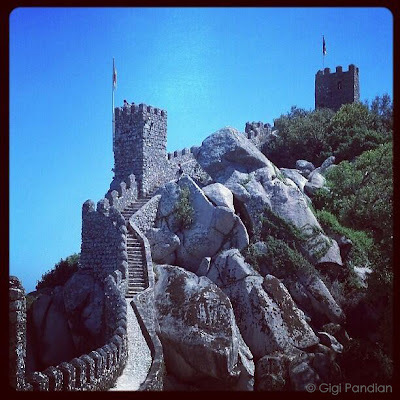 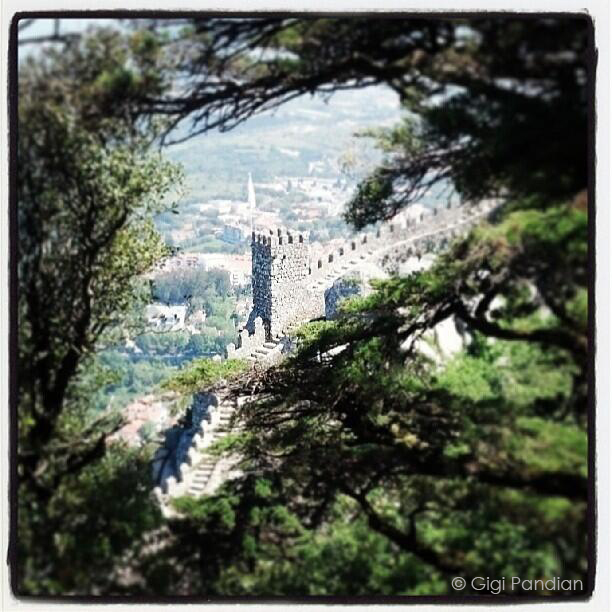 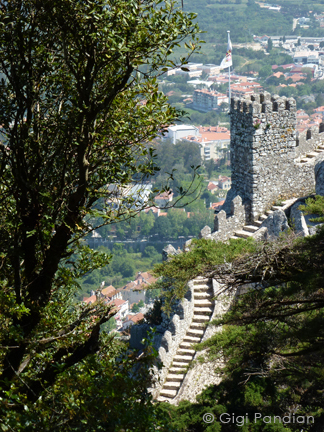 High on a hill above the city of Sintra, outside of Lisbon, Portugal, are the remains of a medieval Moorish castle. 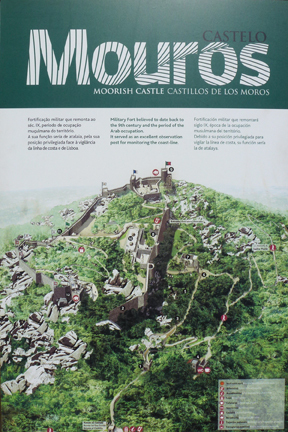 Built by the Moors in the 8th or 9th century, Portuguese kings gained control after the Siege of Lisbon in 1147. 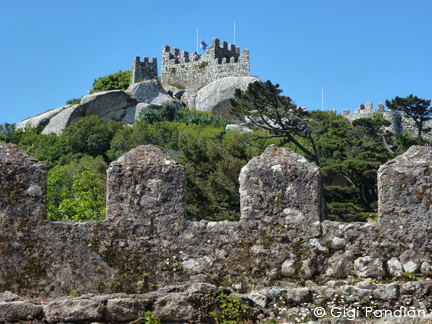 The castle was damaged in a 1636 fire and suffered further damage during the Great Lisbon Earthquake of 1755. 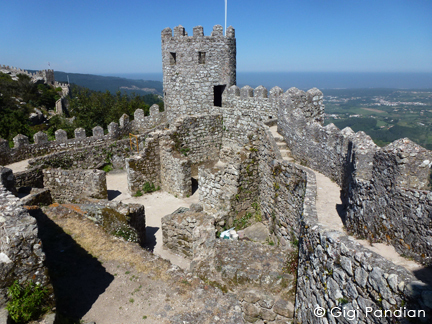 It would have been left to complete ruins if it hadn't been for King Ferdinand II, a patron of the arts who romanticized the middle ages and decided to reconstruct the castle in the 1800s. 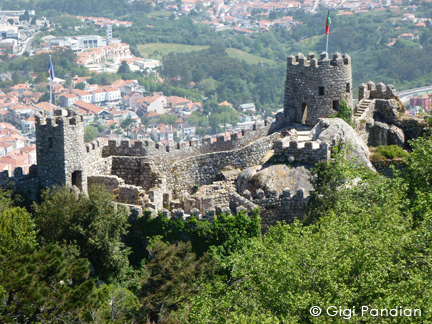 It's now a National Monument of Portugal and a UNESCO World Cultural Heritage site.